Is Putlocker a safe site? Putlocker is an index of movies and TV programmes that is widely used as a way to find movies and TV programs to stream online. Putlocker itself doesn’t host any content, it just provides a means to find it easily. Despite this, the original Putlocker was blocked in the UK after a High Court order. In addition to the original Putlocker, which has changed domains several times, there are multiple mirrors online that look identical the original. That depends on where in the world you try to access it from. The original site was blocked by ISPs in the UK following a court order. And there have been several reports of people who have used it being sent copyright infringement notices by their ISP. However, the offence is streaming copyrighted content without permission, not accessing the site. Technically, in most countries, just accessing the site, or using it to find non-copyright protected content isn’t illegal. That’s a tricky question. As we said, there are several different mirrors of Putlocker, probably run by different people. Any site that provides a ‘service’ like that has to make money somehow. In the case or Putlocker and its mirrors, that is advertising. It’s possible that all the adverts it displays are legitimate and harmless. But, usually when a site or service grows on the back of enabling access to pirated content there’s an increased risk of it hosting adware or other forms of malware. In addition, there’s no way of knowing whether the content indexed by Putlocker is harmful. Is that link to a series of Game of Thrones really what it appears to be? Or is it a link that will lead to you downloading a nasty Trojan? The simple answer to the question ‘is Putlocker safe to watch movies on’ is that you should assume Putlocker is not safe to use and be very careful if you decide to use it. That’s a decision you will have to make for yourself. If it’s legal in the country where you live — and if it’s accessible via your ISP, it probably is, and if you put proper precautions in place you should be fine. However, if it has been blocked by ISPs in the country where you live, or if you just click on a link to it or one of its mirrors without taking any precautions, you may be putting your computer at risk. As a minimum you should use a VPN (virtual private network) when you access Putlocker. This will hide your IP address and encrypt traffic between your computer and the site. You should also use antivirus software to scan your Mac once you’ve visited the site and regularly afterwards. What should I do if I’ve already visited Putlocker? 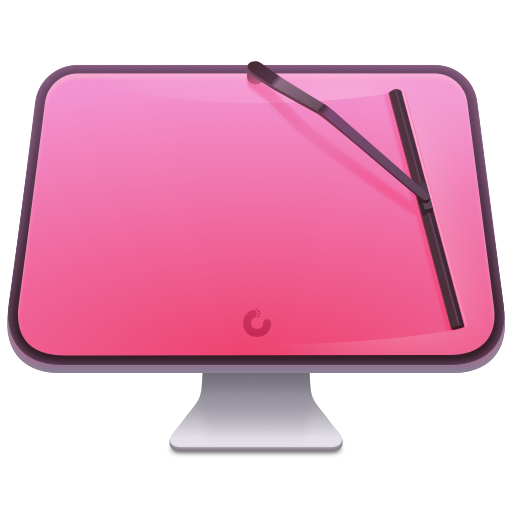 If you haven’t noticed any unusual behavior in your Mac, such as adverts being displayed unrelated to those you would normally see, or your computer running unusually slowly or erratically, there’s nothing to worry about. As a precaution, however, you should check for malware. One way to do that is to use the malware tool in CleanMyMac X. It scans your Mac and compares what it finds with its database of known malware. The database is updated regularly, so it knows about the most recent adware, Trojans, and other malicious code. Click Remove if some threats are found. That’s it! In just a few clicks, you’ll scan your Mac for adware, malware, ransomware, spyware, and all other “wares” that can harm your Mac. Putlocker is hugely popular, but its legality is questionable, depending on where you live. If it’s accessible via your ISP, then it’s probably safe to access from a legal perspective. However, the content it links to may not be safe. Much it is copyright-protected and just streaming it may breach copyright laws. Also, the streams may be infected with malware. If you do use Putlocker, you should also use a VPN and scan your Mac for malware using either CleanMyMac X or other antivirus tool. What is "Your Account PayPal Has Been Limited" scam?